Should you need help finding addiction treatment centers, Christian drug and alcohol rehab centers, addiction treatment centers, best rehabs, best rehabs or substance abuse treatment, please let us know. Discover how Columbus Women's Home can help an addicted or alcoholic loved one or colleague affected by drug abuse. This long-term Christian residential substance abuse and addiction recovery program of Adult and Teen Challenge offers better addiction and alcohol abuse recovery than typical inpatient and outpatient substance abuse and addiction recovery centers. 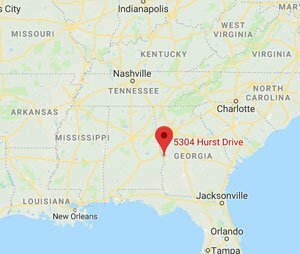 Discover this affordable substance abuse recovery center and Christian addiction recovery center in Columbus, Georgia (southwestern Georgia and eastern Alabama), from among rehabs for women in: Smiths Station, Opelika, Beulah, Auburn in Lee County, Cusseta in Chattahoochee County, Valley in Chambers County, Phenix City in Lee and Russel Counties LaGrange in Troup County, Eufaula in Barbour County and Americus in Sumter County and rehabs for Fort Benning.